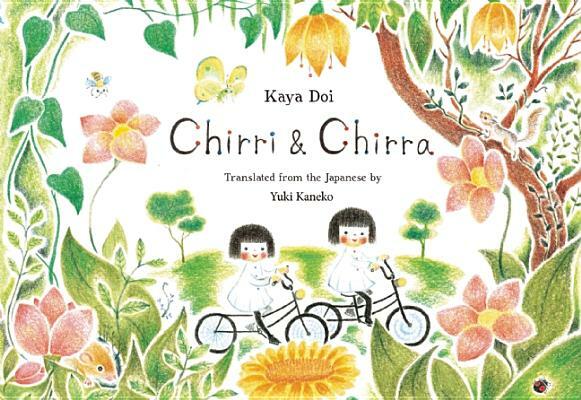 The first book in a completely charming series by a well-known Japanese author and illustrator, Chirri & Chirra introduces two girl characters who go on wonderful adventures together through the natural world. Vibrant, lively, and astonishingly sweet in a pure, unsentimental way, these pages present us with relatable children, small animals, lots of food, atmosphere, and many mysteries. Born in Tokyo, Japan, Kaya Doi graduated with a degree in design from Tokyo Zokei University. She got her start in picture books by attending the Atosaki Juku Workshop, held at a Tokyo bookshop specializing in picture books. Since then she has produced numerous picture books featuring her softly styled, color-pencil drawings. She now lives in Chiba Prefecture and maintains a strong interest in environmental and animal welfare issues. Since the earthquake of 2011 she has been active in recovery and shelter efforts for abandoned pets.